It is called a Fujifilm Instax Mini 7S. It has turned out to be my favorite Christmas gift. They have other sizes, but I like the minis. If you like to take pictures or know someone who does this is the gift for them. It is a new twist on an old classic. I love how vintage the images look. They come in all sorts of cute colors and you can even get film in an assortment of colors and designs. The best part is you can get one for less than $100. Keep in mind, you have to buy film. They are perfect to take on the go and make a cute and fun option at any wedding. I am planning on making a large art piece for our home once we take more images. I will be sure to share. Happy shooting and print your work! 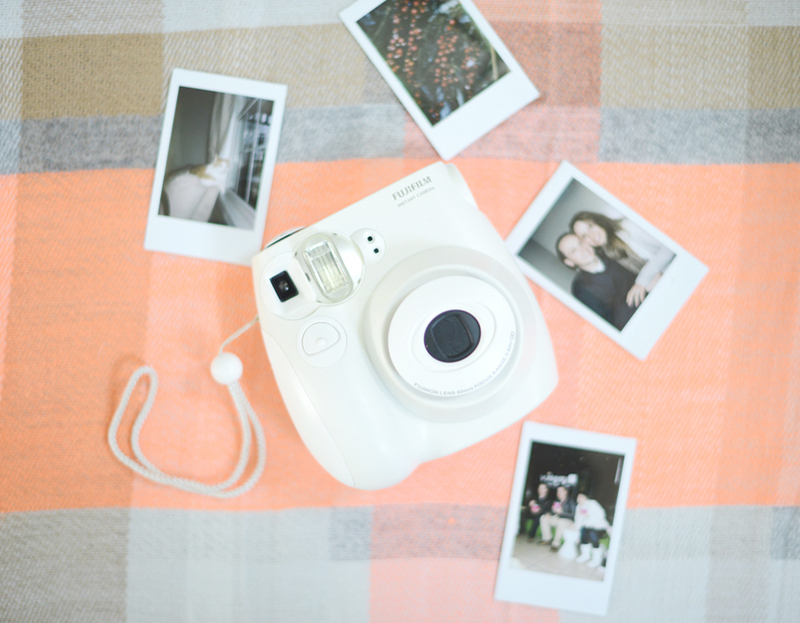 Does the camera itself actually print the mini-pictures instanstly (just like a polaroid camera) or do you still need to connect to a printer of some sort? Love your blog and your photography, btw!